US equities ended the month on a moderately mixed note, sp -5pts @ 2198 (intra high 2214). The two leaders - Trans/R2K, settled +0.4% and -0.4% respectively. VIX settled +3.3% @ 13.33. 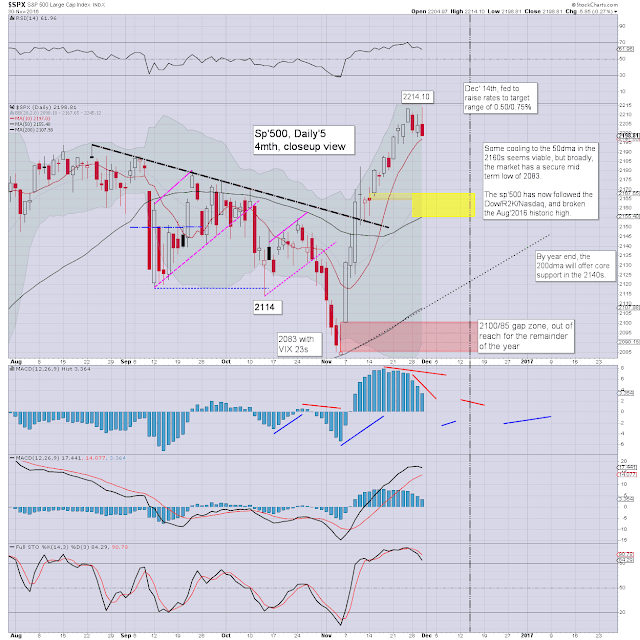 Near term outlook offers a retrace of around 2% in early December, but broadly, the market remains powerfully strong. The OPEC news really helped negate what moderate weakness is out there in equity land. 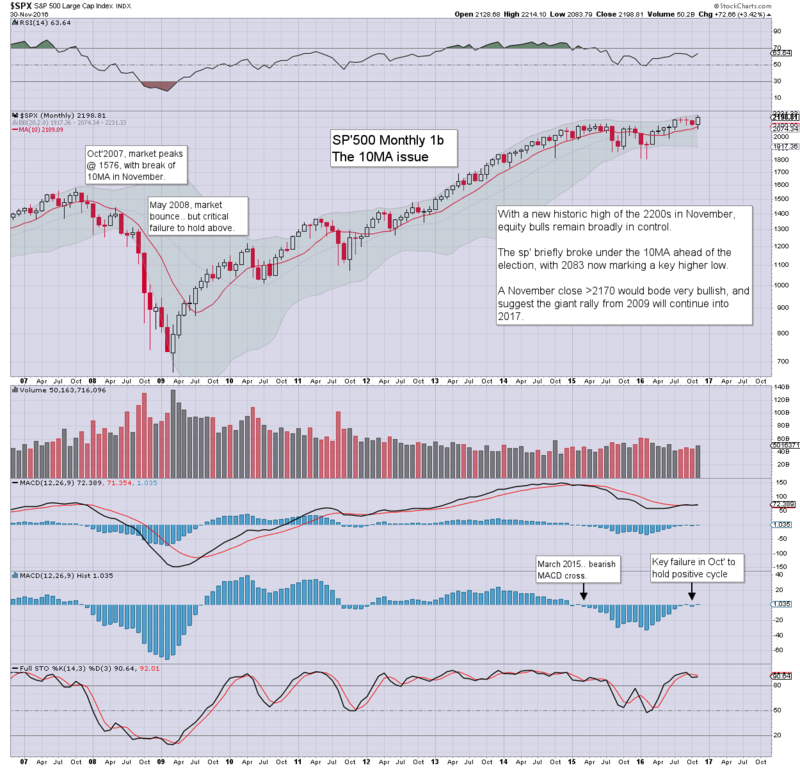 Equity bulls managed to end the month with yet another pair of new historic highs, with sp'2214, and Dow 19225. Despite some distinct weakness in the late afternoon, such new highs are the ultimate in bullish signals. 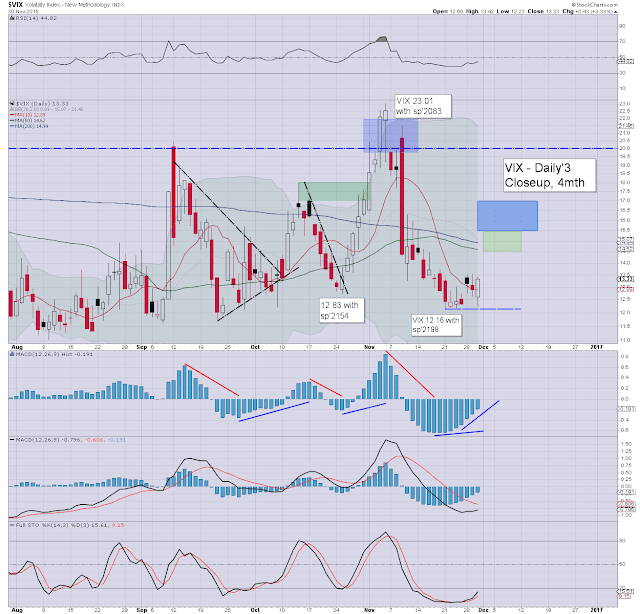 VIX did manage a minor daily gain, settling in the 13s, but that is a long way down from the Nov'4th high of the 23s. It sure doesn't look like we'll see any action above the key 20 threshold in the near term. A net monthly gain of 72pts (3.4%), settling at 2198, having broken a new historic high of 2214.10. This weekend, I will detail the world monthly indexes. November was a bullish month not just for the US, but most other world markets. Broader price structure is highly suggestive of continued upside at least into late spring 2017, if not all the way into next autumn. I recognise that some (perhaps many?) of you don't want to hear that kind of talk. 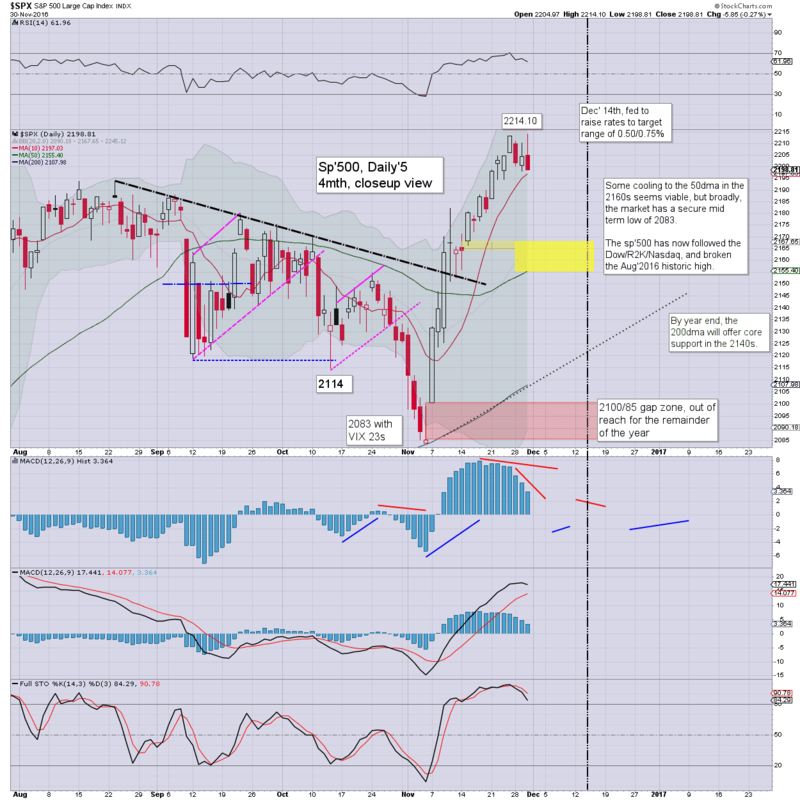 You'd rather I talk about the imminent implosion of the USD, or some kind of deflationary collapse to the sp'400s. I'll merely continue to call it ... as I see it.